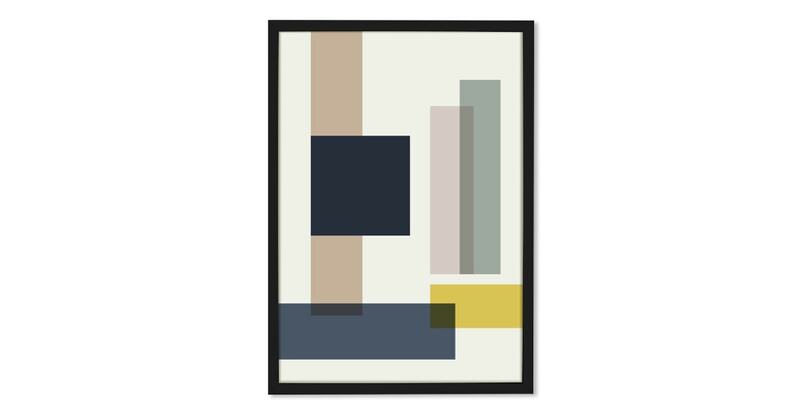 Simple rectangles of varying sizes are layered to create this wall print. Why overcomplicate things? In shades of navy, mustard and green, this print has a Scandinavian feel – a calming addition to your space. Perfectly printed. Expertly framed. We've MADE art easy – a revamped room, with minimal effort.